An outdoorsman first and businessman second, Leon Leonwood Bean grew up in western Maine, hunting and fishing every chance he could. Stints working at shoe and apparel shops around Maine gave “L.L.” plenty of retail experience and paid the bills. But he lived for weekends, filled with the thrill of the chase and the camaraderie of fellow hunters. He was just back from a hunting expedition – footsore from wearing clunky leather boots that leaked and then stiffened as they dried – when inspiration struck. “I took a pair of shoe rubbers from the stock on the shelves and had a shoe maker cut out a pair of 7 1/2 inch tops. The local cobbler stitched the whole thing together.” And, in 1911, the Maine Hunting Shoe was born, and New England’s notoriously rugged, boggy terrain was about to meet its match. When L.L. Bean started his company, his view of serving the customer was as revolutionary as his product. He said, “A customer is the most important person ever in this office – in person or by mail.” Whether seeking expert advice or purchasing goods, customers quickly learned that L.L.Bean wasn’t like other companies of the day. One of Wall Street Journal’s Top Ten Entrepreneurs of the 20th century, L.L. became a pioneer of direct marketing. The fact that he was an outdoorsman who personally developed, tested and guaranteed his products established him as one of the most respected names in the business. Leon Leonwood Bean was born in 1872, in Greenwood, Maine. Orphaned at the age of 12, he grew up working on the farms of various relatives and friends. After attending Kent’s Hill Commercial College, he worked as a clerk in his brother Otho’s shoe store. In 1895, Otho opened a second store in Freeport, Maine, called Bean Bros. and hired L.L. to manage it. 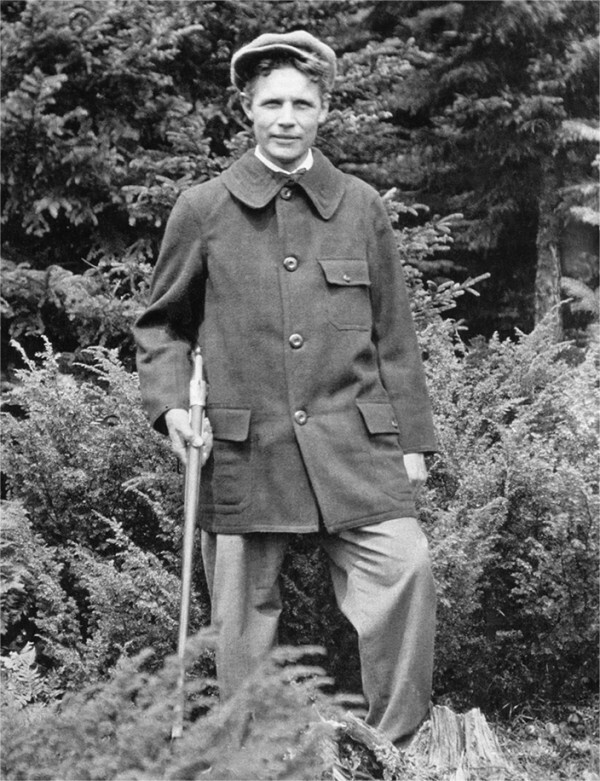 In 1911, L.L.’s passion for the outdoors and Yankee ingenuity came together with the birth of the Maine Hunting Shoe and the L.L.Bean company. The grandson of company founder L.L., Leon Gorman joined the family business in 1961. He took every chance he could to learn the business – waiting on customers, studying the old catalogs and, of course, trying out the gear. In 1967, following his grandfather’s death, Leon became president of the company. He quickly introduced his hallmark "stakeholder concept," linking L.L.Bean's success to the well being of its customers, employees, communities and the natural environment. In his 30 years at the helm, Leon grew L.L.Bean from a struggling $4.75 million catalog company to an over-one-billion-dollar multichannel leader in the outdoor industry. And true to the stakeholder philosophy, the company gave back as it grew, supporting conservation, outdoor recreation and other programs in the community. Leon played a significant role in the conservation community. 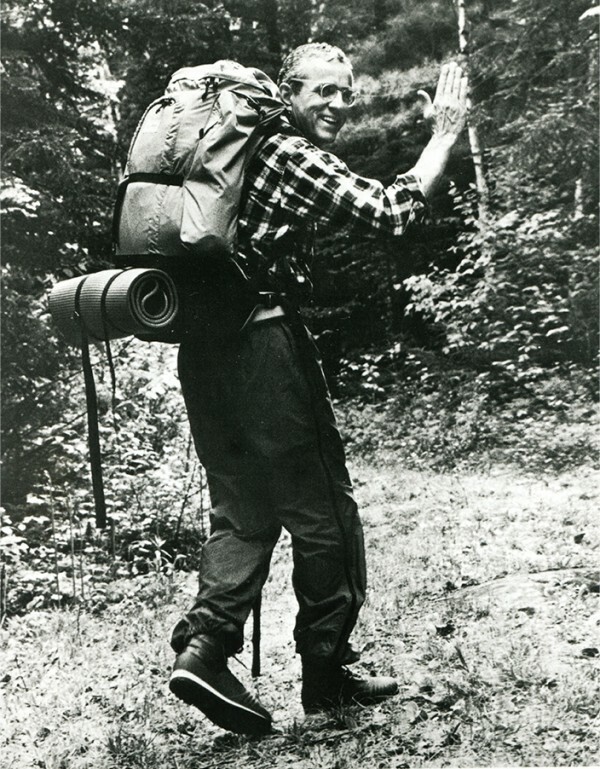 He and his wife, Lisa, helped protect thousands of pristine acres of land through their support of The Nature Conservancy’s St. John River Project, the Appalachian Mountain Club’s capital campaign and fundraising efforts by the Student Conservation Association. Leon’s contributions also went well beyond the financial. For over a decade, he rolled up his sleeves as a volunteer at Preble Street, preparing and serving breakfast for those in need, and was named their Volunteer of the Year in 2009. Leon A. Gorman was born in Nashua, New Hampshire, in 1934, and was raised in Yarmouth, Maine. He graduated from Bowdoin College and spent four years in the Navy before joining L.L.Bean. He received numerous awards from various civic and philanthropic organizations, including the Presidential Award from the Portland, Maine, chapter of the NAACP. He also received L.L.Bean’s highest internal honor, the Bean’s Best award, in 2001 and Bowdoin College’s highest honor, the Bowdoin Prize Award, in 2010. He passed away in 2015 at the age of 80. We spoke with Shawn Gorman, Executive Chairman of the Board and great-grandson of L.L. Bean, about how the outdoors has shaped his life and career. Where did you grow up, and what role did the outdoors play in your childhood? I grew up in Exeter, New Hampshire. The outdoors was everything, and we were outside from sun up to sun down – catching fish in local streams, playing in the park. Without the distractions of electronics, our lives revolved around the outdoors. What are your favorite ways to enjoy the outdoors with friends and family? There’s always something to do in Maine. 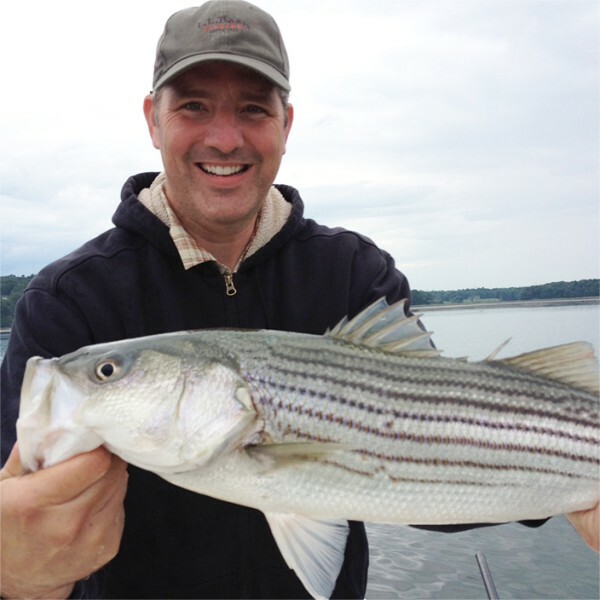 I particularly love boating and fishing on Casco Bay, skiing at Sugarloaf Mountain with my family and mountain biking. Is there an especially memorable outdoor experience you can share? I have a great childhood memory of hiking Mount Washington with my dad. I’m 6’8” now, but back then I was pretty little, and I had to struggle to keep up. What I remember most, though, is the feeling of accomplishment when we reached the top! I recently shared a similar experience summiting Mount Katahdin with my own kids. Which L.L.Bean product couldn’t you live without? My L.L.Bean Gore-Tex Patroller Jacket – it’s my go-to outerwear. Also, I can never have too many Boat and Totes. They keep me and my family organized. What was the most memorable L.L.Bean product you owned, and what did it mean to you? My first pair of brand-new L.L.Bean Boots. As the youngest of four kids, I was always in hand-me-downs. I recall taking a bit of ribbing from the kids at school, who all seemed to have new boots each winter, while mine were on their fourth round. At some point, my growth rate out-paced that of my siblings, and I finally received my very own, brand-new pair – I was on top of the world. Jackets. I confess – I am a jacket junkie, and I’ve accumulated a lot of them over 25 years. Adventure trips with family and friends. We’ve made great memories skiing, hiking and biking. I love planning and anticipating the next adventure almost as much as participating in it. Shoveling snow. It taught me discipline and the value of hard work. I really enjoyed it though, because I could be outdoors and make some money at the same time. Working at L.L.Bean wasn’t part of my initial plan. With a degree in English, I thought I’d become a copywriter. However, I took an entry-level advertising position with the company and instantly fell in love with the business and the people. More than 25 years later, it remains the best career decision I’ve ever made. What do you love most about coming to work in the morning? The office is my second home. My colleagues and all the employees are like family to me. We are a close-knit community of super-talented people, who share the same values and always work together to solve challenges to move the business forward. We do an employee satisfaction survey every year and one question asks what people like most about their work experience – and the answer is always the same – “my coworkers” – who wouldn’t look forward to coming in every day to experience that kind of workplace? When you think about working at L.L.Bean, what makes you proudest? The Stakeholder Philosophy that makes this company one of the best places to work anywhere. We don’t measure success based on profit, but on the well-being of all our stakeholders – including customers, employees, the community, the environment and vendors. I am immensely proud to be a part of the family that created this values-based company. If you weren’t in your current position and could only apply for one other job, where would you apply and why? Merchandising. I love the products we sell, and I’d be good at designing them, especially outerwear. I always look forward to work sessions when our Merchants showcase our new product lines. Product is what this company is all about, it’s what enables our customers, and us, to enjoy the great outdoors. We sat down with Steve Smith, L.L.Bean’s fourth President and CEO, to talk about what being an outsider means to him. Outside of New York City, later in Amherst, MA. My family had a house in the Adirondacks – on Canada Lake. I spent every summer there, fishing, hiking, water skiing and canoeing. Sitting around a campfire laughing and telling stories, hiking almost anywhere and anything on the water. The Allagash Pack. It represents the leadership philosophy that has guided my life and career, long before I knew it was an Allagash Pack or that I would be working at L.L.Bean. Shoes, and L.L.Bean Boots and outerwear and shirts and camo stuff. You can never have too many Bean products. I believe you must have the right tool for every job. Woodworking, cycling, running, paddling, fishing and hanging with my family. I was a paperboy, and I loved it. It taught me responsibility, commitment, salesmanship, relationship building and entrepreneurship. And how to have fun while working. It was diverse. I have had the good fortune of working in a number of roles, including internationally. The journey has been incredibly stimulating, fun, tiring, energizing and rewarding. What has surprised you about working at L.L.Bean? I fully expected to meet great fellow employees when I came to L.L.Bean. But they have exceeded all my expectations – they’re the best people in the world, really. Their dedication and commitment to upholding the values of this company is truly inspiring. I am excited to start every morning considering the short-term and long-term opportunities for the company, our customers and our employees. I live seven miles from the office, which makes riding my bike a daily option. I can also catch glimpses of the ocean and a river and the forest every day. What makes you proudest about working here? The stakeholder philosophy that guides the decision-making, the values that are held true and the authenticity of this beautiful brand. Steve began his career in 1992 at J. Walter Thompson. 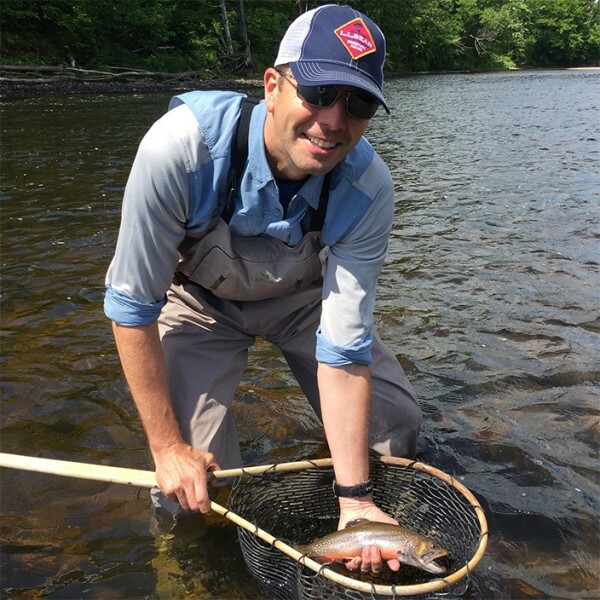 Following a decade of working in merchandising, marketing and customer relationships for companies including Resort Sports Network, Hannaford Supermarket and the Delhaize Group, Steve joined Walmart International in 2011. He held a variety of leadership roles for Walmart China, Asda (a Walmart-owned food, fashion and general merchandise business in the United Kingdom) and Yihaodian (part of Walmart Global eCommerce – a Shanghai e-commerce business).